Submitted by Joel McCurry on Jul 19 2018 - 1:26pm. 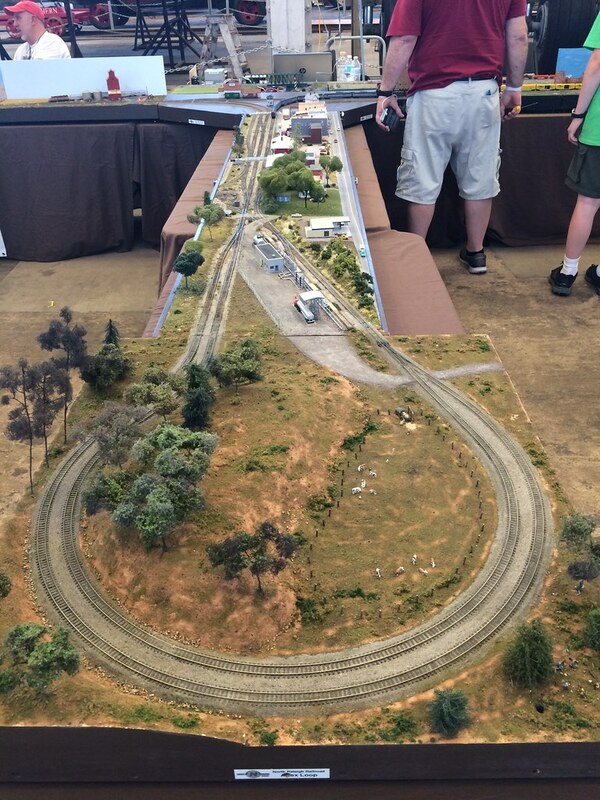 On May 12, 2018 the North Raleigh Railroad Club along with the French Broad e "N" pire and the Lynchburg Area N-Scalers setup and operated a T-Trak layout and the North Carolina Transportation Museum. The layout filled 11 six-foot tables with an equivalent of 114 single modules. The layout shape was an E configuration with two junction modules and two return loops. One junction branched the Red Line to the Apex module set with it’s return loop. NRMRC brought their Apex module set that depicts the Durham and Southern junction with the Seaboard Airline in Apex, NC. LANS brought a junction module that branched the Red Line to a single module that split the Red and Yellow Lines to form a loop. About four of these tables will be seen in the TTRAK layout in Kansas City this August with modules from FBE and NRMRC. 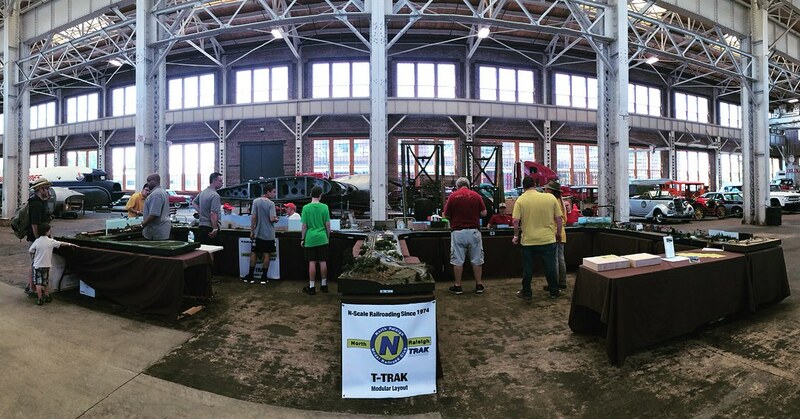 Also, in attendance at the show was the Central Carolina N Scalers with their NTRAK layout.